Located in the Frederick County side of Mount Airy, the Hattery Farm community offers a peaceful country setting with large yards and beautiful views yet only minutes from charming downtown Mount Airy, Frederick, and convenient to commuting to both the Baltimore and Washington DC metropolitan areas. Award winning Insignia Homes offers 9 flexible floor plans including rancher style and 2-story models that come standard with a large home site, 2-car garage, full unfinished basement with bathroom rough-in and 6'ft sliding glass door, hardwood or laminate flooring in the foyer, well-appointed kitchen with granite counters, maple or oak cabinetry with soft close drawers, stainless steel appliances, recessed lighting, ceramic tile bathroom floors and shower surrounds, high efficiency duel fuel HVAC system, 35-year architectural shingles and so much more! Insignia also offers many options and upgrades and works closely with customers to make changes allowing customers to build their new home to suit their specific needs and preferences. Only 9 home sites are left ranging from .9-1.5 acres. 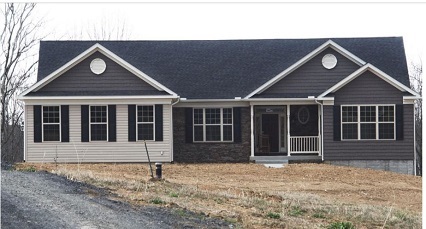 Building a new home "your way" has never been so easy and at Hattery Farm there is something for everyone. If you're looking to live in sought after Mount Airy and can't find exactly what you want in a resale home, stop by Hattery Farm to choose your perfect home site and let Insignia get started building your new home today! Please contact us for more info or to make an appointment to walk the lots and meet the builder! From Frederick: 70 East to RT 75 North. Right on Old National Pike (RT 144), Left on Woodville Rd. Cross Old Annapolis Rd To continue on Woodville Rd. Right on Harrisville Rd to Hattery Farm 1/2 mile on right. Alternate Route: RT 27 N to Left on Harrisville Rd. Right on Buffalo Rd, Left on Harrisville Rd to Hattery Farm 2 miles on the left.